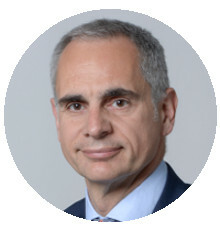 Ricard Simo is a Consultant Otorhinolaryngologist Head, Neck and Thyroid Surgeon at Guy's and St Thomas' Hospital and Senior Lecturer at GKT Medical School. He graduated from the University of Barcelona in 1988, trained in Otorhinolaryngology Head and Neck Surgery in Nottingham, Manchester and Philadelphia. He has published 110 original articles, 22 chapters and UK national head, neck and thyroid cancer guidelines. He is the Past President of the European Laryngological Society, the Head and Neck editor of the Journal of the ENT Masterclass, Audit and Governance Lead of the ENT UK Head and Neck Society, Head and Neck Coordinator of the European Board Exam in ORL-HNS, and a faculty member of several national and international courses. He is married with 2 children and loves nature and triathlon.